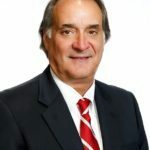 In 1978, after graduating from the University of Alabama, Everett joined his father as the 3rd agent of Jack King Realty Co. Everett King took over the four-agent company in 1990. Now ERA King Real Estate, the firm has grown into a five-office, 130-agent company with 25 full-time support staff. ERA King won the prestigious “Gene Francis Memorial Award” in 2007 as ERA’s Top Overall Company nationally and has been a perennial “Top 20 ERA Company." ERA King is currently the only Cartus/USAA Platinum recognized company in the state of Alabama. The team is proud of their "12 Months of Giving" Charity Program, having given more than $400,000 and countless man hours to over 100 charitable organizations in the communities we serve. I learned all I know about real estate from my dad. And his lesson was very simple: If you do the right things for the right reasons, success will follow. That was 38 years ago when social media was meeting people in church — but it has proved timeless.